In March of this year police in New Zealand uncovered a possible plot to blow up a nuclear reactor in Sydney during the upcoming Olympic Games. In the course of an investigation into people-smuggling by organized crime syndicates the Auckland police conducted a series of house raids in the capital city of New Zealand and found evidence suggesting a plan to attack the Lucas Heights nuclear reactor near Sydney, Australia. According to a senior Auckland detective, one of the apartments in a Mt. Albert home was converted into a virtual command center, complete with conference table and maps. A Sydney street map was found with the site of the reactor and access routes to it highlighted. Moreover, entries in a notebook outlined police security tactics, standards and chains of command for the Auckland Commonwealth Games in 1990. There were signs that a clandestine cell of refugees was granted New Zealand residency. The cell consisted of about 20 mainly Afghani, refugees in Auckland, who it is believed have been familiarizing themselves with the Western way of doing things, possibly as a forerunner to a foreign attack. They were using the relative anonymity and remoteness of New Zealand as a launching pad for more serious activity. New Zealand residency seemed attractive because the use of New Zealand passports is likely to avoid suspicion when entering target countries. There were strong indications that at least some members of the cell have had previous military training and have fought in Afghanistan, Iraq, Iran, Bosnia, Chechnya, Somalia and Sri Lanka. Some were photographed brandishing AK-47s during their earlier lifestyles. Some of these supposedly near-penniless refugees have made frequent trips to Southeast Asian countries such as Malaysia, Thailand and Indonesia. The marked street map and the notes on police tactics were found in the possession of an Iranian refugee, who claimed he found it inside a National Geographic magazine he bought at a garage sale. The New Zealand Herald and other sources speculated that people connected to Osama bin Laden might have devised the plot. New Zealand Police Minister George Hawkins said arrests were made during the raids but the people involved were charged with only minor offences like passport and immigration offences. The New South Wales police in Australia had been briefed by New Zealand on the potential threat to the Lucas Heights nuclear research reactor and the two forces are working together on the case. Australian and New Zealand officials played down the seriousness of the threat to the research reactor, some 25 km (15 miles) from the main Olympic stadium on the outskirts of Sydney and said the risk of an attack was low. However, Greenpeace activists, conservation groups and nearby residents were not convinced and converged on the site of Australia’s only nuclear reactor to protest that the plant was old, leaky and long a security threat. The Sydney Morning Herald reported calls in April last year for the Lucas Heights reactor to be shut down for the Sydney Olympics, as Atlanta authorities did with a smaller research facility there before the 1996 games in the United States. The Herald quoted a leading anti-reactor campaigner as saying nuclear authorities in Australia acknowledged a potential terrorism threat when they increased security at the Lucas Heights reactor during the 1991 Gulf War. The plant, used for scientific and medical research, is much smaller than an electricity-generating nuclear reactor, producing only about 10 megawatts of thermal energy compared with 3,000 megawatts for an electricity-generating reactor. According to an Australian anti-nuclear campaigner a meltdown at the Lucas Heights, a highly enriched uranium reactor, would take just eight minutes, leaving no time to evacuate suburbs, while normal reactors took 40 minutes to melt down, as happened at Chernobyl. Melbourne’s Herald Sun newspaper reported in April 1999 that the Australian Security and Intelligence Organization (ASIO) was investigating claims that bin Laden was trying to recruit members in the city. Police were on alert following allegations, which emerged in a court case in which an Iraqi national was accused of attacking a family for refusing to join bin Laden’s extremist Muslim group. Security agencies in the United States, Canada and Britain were also looking into the possible plot, according to local newspapers. An attack against a nuclear facility has always been considered by specialists to be one of the main potential threats of nuclear terrorism. However, the historical record to date has been benign. Terrorists have rarely attacked nuclear facilities, stolen nuclear weapons or weapon-grade nuclear materials. To date, there have occurred perhaps six attacks on nuclear power plants in France, South Africa, Argentina, the Philippines, and Spain. Fortunately, all of the reactors were in the early stages of construction and were not operational. Between 1966 and 1977 there were 10 terrorist incidents against European nuclear installations. In 1979 environmental terrorists succeeded in inflicting 20 million dollars worth of damage to a French nuclear plant. In 1982 five rockets were fired into the French Creys-Malville nuclear facility, but the damage was minor. Between 1969 and 1975, in addition to 240 bombing threats against US nuclear facilities, there were 14 actual and attempted bombings. According to a Russian intelligence official, during the years 1995-1997 there were 50 instances of nuclear blackmail in Russia. Most of them were hoaxes. The most dangerous trend in these years, according to this source, is the so-called motiveless acts of terror, in which the criminals put forward no political or financial demands. In such cases there is nothing to negotiate. A research database maintained at the International Policy Institute for Counter-terrorism (ICT) includes some 300 incidents of chemical, biological and nuclear terrorism. From the statistical analysis of this database it appears clearly that most of the terrorism involving nuclear targets (167 incidents for the period 1970 - 1999) happened mostly in the 1970-1979 period (120) and diminished dramatically in the next two decades. Even so, the great majority of the incidents involve threats (98) or involved mainly actions against facilities (43). These actions were due mainly to the activity of extremist left-wing organizations which opposed the American and Western nuclear armament and deployment of nuclear missiles, especially in Europe. The ecological movement that emerged in the advanced industrial West in the early 1970s, like the youth movements of the 1960s from which it emanated, has been issue-oriented. A multitude of issues, revolving around the protection of the environment and the enhancement of the quality of life originally concerned the ecological activists. However, the nuclear issue, which is socially, politically, and economically potent, gradually eclipsed these other issues. By the mid-1970s, the ecological movement had been essentially transformed into an antinuclear movement. Though the antinuclear cause is extremely complex, its advocates have usually directed their activity against the visible edifice of the nuclear industry and have demanded the termination of nuclear development in a certain region or country, or over the globe. This is the reason why most of the terrorist activity was carried out against facilities, usually the period before the completion of the nuclear projects. In the countries were there was an active national-separatist movement, like the ETA in Spain and the Breton Liberation Front in France, the separatists used the issue to gain the support of large fractions of the population, which were contrary to the building of nuclear plants in the region. With the disintegration of the anti-nuclear movement in the middle of the 1980s and parallel with the elimination of the violent extremist leftist groups in Europe and the USA and the fall of the Soviet Union, which had the strategic interest in supporting the anti-nuclear movement, the anti-nuclear violent activity almost disappeared. According to various reports, Osama Bin Laden, the Saudi millionaire responsible for the August 1998 bombings of the American embassies in Kenya and Tanzania, and his organization Al-Qaida are involved in an effort to acquire weapons of mass destruction, along with the capabilities to develop such weapons themselves. The Italian newspaper Corriere della Sera reported in May 1998 that Osama’s representatives bought three chemical and biological agent production laboratories in the former Yugoslavia. In addition, the organization received radioactive material and pesticides from Ukraine, and hired a number of Ukrainian experts (chemists and biologists) whose job will be to optimize the poisons and train the activists. According to this information, the first factory has already been set up in a well-equipped camp near Kandahar in Afghanistan, and the second is nearing completion at Zenica, the Bosnian village that the Muslims made their base during the war. Another report by the Arab magazine Al Watan El Arabi, claimed that Bin Laden had acquired from Kazakhstan 20 nuclear warheads, originally from the former Soviet nuclear arsenal. In return Bin Laden paid 30 million dollars in cash along with two tons of heroin, which was given to him by his allies in the Taliban militia. According to the report, this deal was mediated by the Chechen Mafia. Bin Laden’s intentions of acquiring nuclear weapons are known to Western intelligence agencies for five years now. According to different sources, he expressed his intention to “spare no expense” in order to be ready to use nuclear warheads and acquire experts to operate them. Bin Laden was also believed to be one of the principal investors of the “al Shifa” pharmaceuticals factory, the Sudan target of the American strikes in August 1998, which Western intelligence agencies claimed was a front for chemical weapons facility. The plant was said to have been built with the assistance of Iraqi technicians and its main product was a key component VX nerve gas. Lately the American administration has been much more cautious about the information it claimed concerning the factory’s involvement with chemical weapons. Al Watan El Arabi claimed in January 1999 that bin Laden and the Iraqi regime have arrived at an agreement to fight together against the U.S., including cooperation in the production of biological and chemical weapons in bin Laden’s laboratories with the assistance of Iraqi specialists. The London-based Al-Hayat claimed in April 1999 that one of the important militants of the Egyptian Jihad organization, on trial in Egypt declared that bin Laden has biological and chemical weapons and that he intended to use them against 100 American and Israeli targets. The U.S. indictment of November 1998 against Osama bin Laden states that from 1993 onwards bin Laden and other members of his Al-Qaida organization made efforts to obtain components of nuclear weapons and to produce chemical weapons. There are no details concerning these efforts and what they obtained. If the information provided by the New Zealand authorities about the Islamist Afghani (?) cell uncovered in Auckland in March 2000 is indeed accurate—albeit belated and sketchy—it points very clearly to an operational plan to attack the Lucas Heights nuclear reactor near Sydney, Australia. 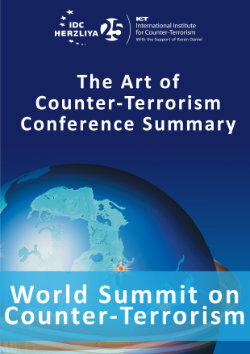 There are many significant clues here: the terrain information on the maps; the security arrangements for a previous popular sports event, the Auckland Commonwealth Games in 1990; the various trips by members of the cell to countries in the region with large Islamic populations, as well as the militant past of the Afghanis involved. All this suggests that behind all this activity there was a plan to prepare at least an option for an attack on the nuclear reactor, if not a substantial threat to attack it. It is interesting that although the members of the group seem to have traveled a lot in the region, no information was provided on whether they ever visited Australia or had contacts with other people or supporters in Sydney or elsewhere in Australia. The approach of the Australian and New Zealand authorities to this incident is in line with the handling of such occurrences by other countries in the past: the neutralization of the cell, the low profile in the publicity given to it, the prevention of a casus-belli with the group/organization behind the event by liberating those whose arrest could have provoked a direct retaliation during the Olympic Games. However, this incident is notably different from other incidents and attacks in the past. It is probably the first serious deliberate attempt by a terrorist organization or group to plan an attack on a live reactor, even if small in size—perhaps even because of its small size. The details revealed—even without the missing Australian fragment—the timetable of the preparations (several months and more from the beginning of the Games) and the number of people involved show a high degree of operational planning. Most of the people involved in the cell are of Afghani origin, but to the best of our knowledge there is no known Afghan terrorist organization operating abroad. The Afghani Taliban regime is indeed giving shelter to and training Islamist terrorist groups on its territory, most of all to Osama bin Laden and his followers, and as a result it is suffering from sanctions decided by the United Nations. The Taliban government is also angry about the attitude of the Olympic authorities vis-à-vis their regime. The International Olympic Committee (IOC) suspended Afghanistan’s national committee last October, because it no longer could function under the Taliban regime in Kabul. The IOC cannot deal with the national Olympic committee of a country whose government is not recognized by the United Nations, and therefore the IOC was not able to issue invitations for Afghan athletes to the Sydney games. However, it is highly improbable that the Taliban are involved in such a sensitive and dangerous operation, as they are trying hard to arrive at an agreement with the United Nations, the United States and the European Union to put an end to the sanctions and be recognized as the legitimate government of Afghanistan. Therefore, it is possible that the Afghanis involved in the plot are members of an Islamist organization with strong ties to Afghanistan, and bin Laden’s al-Qaida group is the first suspect. Bin Laden was behind the bombing of the American embassies in Nairobi, Kenya, and Dar-es-Salam, Tanzania, in August 1998 and these attacks were prepared carefully long in advance. The exposure of the Sydney operation, if bin Laden is indeed responsible for it, is a new failure in the chain of his attempts to strike at American and Western targets since the successful ain Africa in 1998. If, again, the information provided by the New Zealand authorities is correct, the plan to attack the live Sydney nuclear reactor could signify a second breaking of the taboo in the use of weapons of mass destruction (WMD), after the sarin attack by the Japanese Aum Shinrikyo extremist cult in March 1995. This time the threat is from an extremist Islamist organization, a scenario long feared by both intelligence agencies and researchers. 1. The background is based on articles from the following sources: The New Zealand Herald, The Sydney Morning Herald, The Melbourne Herald Sun, Reuters, AP (25 – 27 August 2000). 2. The exact meaning of nuclear terrorism is not always clear. Nuclear terrorism can range from the actual detonation of nuclear weapons or acts of nuclear violence, for example, in the form of the release of radioactive substances or the radioactive contamination of drinking water, to acts of sabotage in and against nuclear power plants. The “nuclear” aspect can either relate to the means employed by the terrorists (nuclear weapons) or to their target (reactors). See also Frank Forest, in R.A. Norton & H.M. Grinberg (eds. ), Studies in Nuclear Terrorism, (Boston: G.H. Hall & Co. 1979) p. 340. 3. Andrew Loehmer, “The Nuclear Dimension” in Paul Wilkinson (ed. ), Technology and Terrorism, (London: Frank Cass & Co. 1993), pp. 48-69. 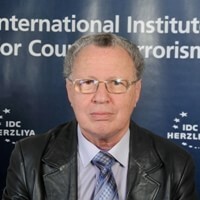 See also Daniel Hirsch, The Truck Bomb and Insider Threats to Nuclear Facilities, Nuclear Control Institute Press Release, www.nci.org/hirschtb.htm. 4. Jeremiah Denton, International Terrorism - The Nuclear Dimension, Terrorism: an International Journal, 9:2, pp. 113-123. (Speech delivered by the Senator at NCI conference on Nuclear Terrorism on June 25, 1985. 5. See also Vladimir Orlov, “Preventing Threat of Nuclear Terrorism: The Case of Russia, Disarmament Diplomacy (November 1997). 6. Although the very definition of non-conventional terrorism (chemical, biological, radiological and nuclear) and the significance of each incident is a matter of controversy among researchers, we have collected publicly available reports of incidents into a database. This is not a complete or exhaustive database, but it surely includes most of the known and significant incidents. To our knowledge this is the first chronological, comparative and analytical database. 7. This research used all the available published chronologies of terrorist incidents from 1968 on and incidents cited by various authors in their books or articles. Most of the incidents appear in: Mickolus, Edward. 1980. Transnational Terrorism: A chronology of events, 1968-1979. London: Aldwych Press; Mickolus, Edward. 1989. International Terrorism in the 1980s. A chronology of events. Ames: Yowa State University Press; Purver, Ron, “Chemical and Biological Terrorism: the Threat According to Open Literature,” Canadian Security Intelligence Service (CSIS), 1995 ( http://www.csis-scrs.gc.ca/eng/miscdocs/tabintre.html). 8. For a discussion on this subject see J. F. Pilat, “Antinuclear Terrorism in the Advanced Industrial West,” in Yonah Alexander & Charles. K.Ebinger (eds. ), Political Terrorism and Energy: The Threat and Response (Praeger: New York 1982), pp. 191-208. 9. See David A. Vise and Lorraine Adams, Bin Laden Weakened, Officials Say, Washington Post, March 11, 2000, http://washingtonpost.com/wp-dyn/articles/A36866-2000Mar8.html.